Recent atrocities have insured that terrorism and how to deal with terrorists legally and politically has been the subject of much discussion and debate on the international stage. This book presents a study of changes in the legal treatment of those perpetrating crimes of a political character over several decades. It most centrally deals with the political offence exception and how it has come to have changed. The book looks at this change from an international perspective with a particular focus on the United States. 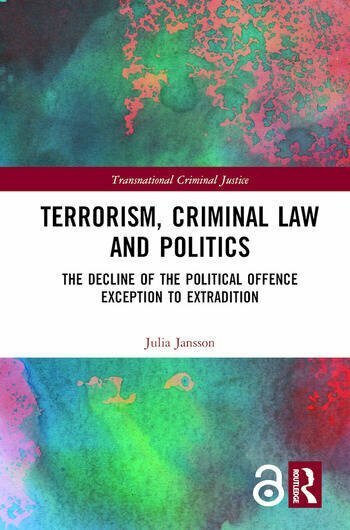 Interdisciplinary in approach, it examines the fields of terrorism and political crime from legal, political science and criminological perspectives. It will be of interest to a broad range of academics and researchers, as well as to policy-makers involved in creating new anti-terrorist policies." Julia Jansson holds a Doctor of Laws degree from the University of Helsinki.